The IEEE-TSDSI 5G workshop brought together technology experts and stakeholders from the Government, Industry, Research and Development Organizations, Academia to discuss emerging trends in 5G technologies, the opportunities and challenges that these pose for a broad spectrum of verticals including tactical and first responder missions, and infrastructure and ecosystem preparedness. The workshop is expected to serve as a catalyst to help define various use cases, drive standards, and investigate deployment issues suitable for 5G networks. Mr. Jim added that “IEEE through its research and technical depth across its societies and through the IEEE Future Networks along with strong expertise in standards development through IEEE Standards Association will play a key role in driving this next generation technology globally. IEEE is also focusing on the region specific use cases and applications, including specific requirements for success of 5G deployments in India”. Similarly, there were sessions on pro-innovation regulation and privacy, The Emerging World of Analytics, Artificial Intelligence, E-tail – The need of the Future, HealthTech – Age of Cyborgs, Industry 4.0: Building Factories of the Future, M-Education, Value Creation through Digital Marketing, Future of Enterprise, Aadhaar etc. Other sessions of the India Mobile Congress Day 2 included discussions around The Emerging World of Analytics: Creating Business Solutions, HealthTech – Age of Cyborgs, Value Creation through Digital Marketing, Artificial Intelligence: Innovation, Investments, Ethics and Responsibilities, Industry 4:0: Building Factories of the Future, Future of Enterprise – Serving the Millennials, Next Generation Devices. Panelists for these sessions included Mr. Sandeep Bhushan, Director and Head Global Marketing Solutions, Facebook, Dr. Praveen Chandra, Chairman of Interventional Cardiology, Medanta, Gurgaon, Ms Sumili Chatterjee, VP and Head Brand, BCCL, Mr. Santanu Bhattacharya, Chief Data Scientist, Bharti Airtel Limited among others. India Mobile Congress Day 2 saw Huawei announce the launch of its OpenLab in India to provide a one-stop ICT infrastructure support for smart city and enterprises digitisation transformation. 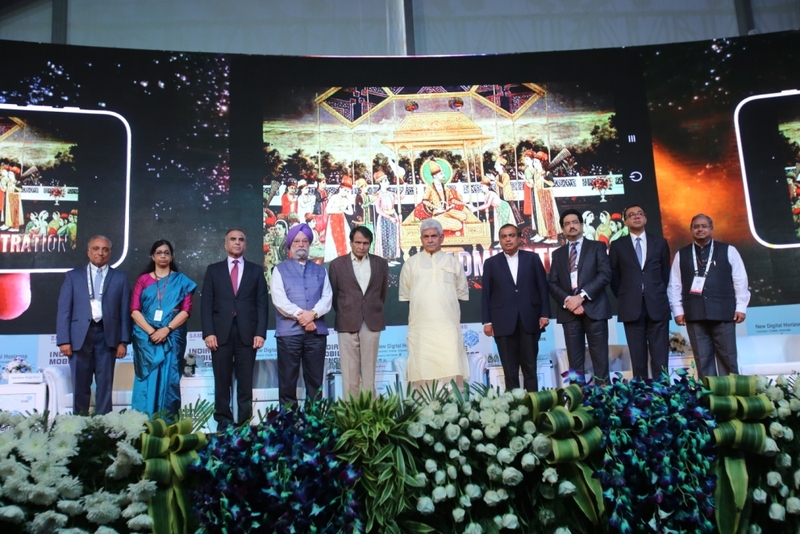 A testimony to Huawei’s commitment to Government of India’s Digital India agenda, the OpenLab Delhi aims to establish an industry ecosystem and serve as a co-innovation platform for Huawei, its customers and partners, both in India and global, for incubating industry solutions to address the challenges of digital transformation. Sterlite Tech, a global data networks solutions company, announced that it will develop and deliver software-enabled programmable solutions using Red Hat’s portfolio of open, enterprise-grade technologies. The solutions will enable communication service providers, enterprises and citizen networks to realise the full potential of web-scale Network Function Virtualisation Infrastructure (NFVI) platform, for their network automation and Software Defined Network (SDN) initiatives. India Mobile Congress Day 2 also saw Sterlite Tech, a global data network solutions company, launched all new – FTTx MANTRA – an end-to-end FTTx-as-a-service solution. This solution allows swift roll-out of Fibre-to-the-Point (FTTx) networks at the scale, latency and agility needed to suit all future requirements of 5G, Internet of Things (IoT) applications, for global communication service providers, data centres and citizen networks. Uniting design innovation and expertise in service engineering onto a single technology platform, the Company’s indigenously developed FTTx MANTRA – Massive Agile Network Transformation, brings together the power of five I’s: Ingenious optical-fibre products, Integrated network design, Innovative virtualisation, Inclusive approach to hyper-scale network deployment, Intelligent software solutions that use analytics and Big Data. Sterlite Tech is showcasing its inventive data network capabilities that make up the FTTx MANTRA along with the world’s slimmest 432F Cable, LEAD360 Execution Approach, Network Virtualisation approach with Digital Commerce and Customer Management platform and many other exciting experiences and technologies in Hall B, Booth 1.4 at India Mobile Congress 2018, taking place at Aerocity, New Delhi, India until October 27, 2018. The copy for the article was provided to ThinkingTech by the India Mobile Congress with the content of the article updated to be published on the web.